A few days ago I cut my ring finger with a vegetable knife..small but deep, actually deeper than I thought as 10 hours after the incident, I couldnt stop the bleeding.Picture this, it was less than an hour before our visitor was to arrive, a new friend visiting for the first time. As always I was running out of time to prepare lunch and drinks before her arrival. Of course I engaged into rapid motion for the final dish (simple fries which I wanted to serve hot ) and then snitch..and the oozing started. As always my husband jumped to help , tight band aid and a prediction it would be over in 5 minutes but alas, it continued....for hours!Long story short 'Band Aid' helped to save the day temporarily, I could finish the preparation and we had the best time with our new friend and before we knew it we were making plans to hang out again. That's when my story today begins..as at that moment I disengaged from hosting our visitor to reflecting on 'incident' before the visit. Without thinking I began to thank God , that the cut was not bigger than itcould have been and that 'Band Aid' temporarily saved the day .. . Of course I got worried many 'Band Aids and still bleeding ' hours later and actually started supecting I had cut a vein or something according to 'internet experts' BUT on the other hand I kept a constant flood of thanksgiving thoughts that it was not as serious as it could have been and that I could host our friend as planned and....well ,I continued the reflections right through the time I went to bed with my finger raised above my heart again as someone had advised on the internet. The next morning when I awoke even though still sore, thank God the blood had finally stopped while I slept. And as I endured the ensuing pain I turned to a new thought, thanking God that so much blood had oozed out since in recent years drawing blood from my veins (especially in cold Tokyo mornings has been a struggle)..huh?! even I was surprised with my inner conversations but it actually revealed to me something that I am also thankful for as I write this article..in recent years God is always opening my eyes to positives that can be derived in bad situations that sometimes come my way. Indeed, there is always something to be thankful for in any situation. Yes, it may feel like the worst day or the worst moment but dig deeper and see the situation from another platform, 'Thanksgiving Platform' and you will be able to '...count your many blessings and name them one by one!' Even as this year ends and a new one begins..sit on the 'Thanksgiving Platform', count your blessings, name them one by one and 'in every thing give thanks: for this is the will of God in Christ Jesus concerning you'.﻿..
1.Choosing to meditate on the Lord’s goodness – (Lamentations 3:21) Yet this I call to mind and I have hope, because of the Lord’s great love we are not consumed..) and v 24 ‘I say to myself , The Lord is my portion therefore I will wait for him’. In the middle of problems and chaos in life, we have a choice to make, meditate on our problems or meditate on God’s word, repeat the problem verbally or encourage ourselves in the Lord. We all know that problems do not go away by meditating on them. From experience, it only steals our joy and paralyses our relationship with God and other people. Rather, understanding that God is good to those who wait for Him and those who seek him gives us hope and the ability to wait for the Lord’s deliverance. 2.‘Machinozomu’ (wait with hope) – v26:It is good to hope and wait quietly for the salvation of the Lord. The Japanese translation speaks of ‘machinozomu’ which combines hope and waiting into one action. I realized from ‘machinozomu’ that hope and waiting for something cannot be separated. We can only wait for something that we hope will happen and if we hope that something will happen, then we wait for it. But, how do I practice ‘machinozomu’ as described in Lamentations. 3.Waiting Quietly – Do I have hope in my life? Yes I do. Am I waiting to receive something from God? Yes I am, but, there is something else that is mentioned in v26 that I do not always practice….waiting QUIETLY for the salvation of the Lord. Indeed it is not easy, I want to complain and I do complain. I also sometimes ask the questions WHY, HOW, AGAIN and so on. Of course it has not solved anything. For this reason, I do pray to God to teach us to ‘machinozomu’ quietly for His salvation. A few weeks ago, I was flying from Japan to South East Asia. As I always do, I occupied the window seat with my camera at arm’s length. I must have fallen asleep midway through an on flight movie and of course when I woke up, I took a few seconds to remember where I was. Immediately I turned my focus to my favorite spot, the window, and adjusted the window lighting. As soon as I got a clear view, I could not believe my eyes. A rainbow! There it was in front of me, red, orange, yellow, green, blue, indigo and violet. Yes, right there and in all splendor! O my God, I thought, a rainbow view from an airplane! I need to take a shot…quick. I reached for my camera and 10 seconds later, I was ready and raring to beautify my collection …only that it was no more. Of course, I was on an airplane, maybe cruising at 800km/h or more and so and in the 10 seconds it took me to pick up my camera, switch it on and focus, we had actually moved more than 2 km and, the rainbow fell behind! I cannot describe how I felt at the moment, sadness and regret. In my fumbling with my camera, I lost a chance to enjoy the breathtaking site and regret that I may never get such a chance again at least in an airplane. As I continued with my flight and even now more than 4 weeks later, I sometimes think of that incident and I end up drawing comparisons with life situations. Often in my life I have lost a chance to enjoy the beauty of the moment due to fumbling and distractions. I have allowed several agendas to take away the chance to enjoy and like my 'rainbow moment' I have often lost both the view and the shot. Loss of focus even momentarily can cost us so much. Even if it means, stifling the urge to reach for the camera, or take ‘THE Shot’ let us keep our focus, enjoy what God has set before us , throw off distractions that entangle us until we cross the finishing line. Thank God we are not alone on this journey. We have Jesus Christ who is the author and finisher of our faith! Whenever, we feel like fumbling for the ‘cameras’ in this life, let us fix our gaze on Him! He will take us through to the finishing line. I was reading the other day from Isaiah 49 and my heart leaped when I got to v23b…. those who hope in me will not be disappointed.” This chapter like the rest of the Bible is full of promises and reminders that God is faithful. I would like to share a few of them with you. I pray that you will remember them at all times. The fact is while people may fail, God does not because he is always faithful. Rather than trust in people, let’s put our trust in God who is able to come through for us at all times. We may not fully understand his ways, but we must always trust in his faithfulness. He is faithful! Have you ever trusted in a system to make good its promise or come through for you only to be disappointed? Broken promises, broken dreams and broken hearts, this is all part of life here on earth. We trust because it is the natural thing to do if we are to have a meaningful relationship with friends, family or even business colleagues. Yet, over and over again, trusting seems to set us up for disappointment and dejection. More often than not, friends family, institutions that we are loyal to and have sacrificed for end up betraying us. As long as we are here on earth, we seem to be continually setting up our lives for failure, for disappointment for heartbreak as long as we have each other. Seems like a hopeless situation, right? However, do not lose heart, there is hope! This is because God is faithful. He does not disappoint those who hope in him as he says in Isaiah 49:23b, he does not lie and he keeps his promise. The word of God, the Bible is full of promises that God keeps time and time again. Below are a few and God bless you as you read them. Romans 3:3 What if some were unfaithful? Does their faithlessness nullify the faithfulness of God? 1Now there was a Pharisee, a man named Nicodemus who was a member of the Jewish ruling council. 10 “You are Israel’s teacher,” said Jesus, “and do you not understand these things? 11 Very truly I tell you, we speak of what we know, and we testify to what we have seen, but still you people do not accept our testimony. 12 I have spoken to you of earthly things and you do not believe; how then will you believe if I speak of heavenly things? 13 No one has ever gone into heaven except the one who came from heaven—the Son of Man. 14 Just as Moses lifted up the snake in the wilderness, so the Son of Man must be lifted up, 15 that everyone who believes may have eternal life in him.” 16 For God so loved the world that he gave his one and only Son, that whoever believes in him shall not perish but have eternal life. 17 For God did not send his Son into the world to condemn the world, but to save the world through him.18 Whoever believes in him is not condemned, but whoever does not believe stands condemned already because they have not believed in the name of God’s one and only Son. Of course the story of Jesus Christ and message to the world continues in the Bible. Watch more messages from Jesus in Jesus' Film on this website. Read the Bible if you have one or listen to the Audio Bible on this website. 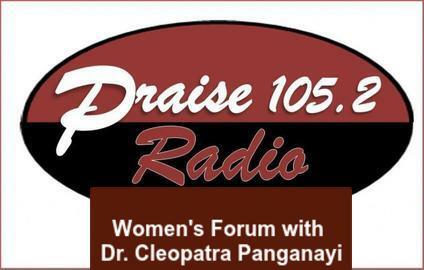 If you want to know more about salvation and Christianity or if you need a Bible feel free to contact us at Praise 105.2 Radio. We would be happy to share with you more and pray together with you to get more understanding. God bless you! For a few days now, I have been trying to put together an article for this page. Today my message is related to seasons and the mixed impact that each season brings. Imagine the cool breeze coupled with the beauty and fragrance of flowers filling the air in spring, the scorching heat in summer, spectacular foliage in fall and of course freezing and sneezing in winter....Just like that the season changes. I first wrote this article during mid-summer, when it was humid and scorching and we were all wishing it would rain. How ironic that as I write to you now, its mid spring here in Tokyo, cool, refreshing and beautiful…How seasons change!Reflecting and exploring our lives today, we all know that everything is also always changing. Like seasons, relationships, fashion, finances and even ourselves…nothing is constant. At times it is hard to keep in track and we may feel like we are lagging behind. Overwhelming as it may be, there is good news… Our God is the same, yesterday, today and forever. Alleluia! I am sure many of us identify with Jabez. While we do not fully understand why his mother called him Jabez, it is clear that the season of pain that caused her to call him ‘Jabez’ when he was born also followed him for a while in his life. What kind of pain? I am not sure. However, this I know for sure, pain is pain and it is always painful. Be it physical, emotional, caused by sickness, difficult conditions, financial doldrums, broken relationships, abuse, any kind, any source, it is still pain and it still remains an unpleasant sensory and/or emotional experience. It hurts! The incredible part in Jabez’s story lies in the last part of v.10..summed up in just 4 words..’ GOD GRANTED HIS REQUEST! Alleluia! Season shift and legacy changed! From Pain to Honor, what a beautiful ‘Before Prayer/ After Prayer’ development! What is the 'Default State' of Your Mind? One of the cool and sometimes ‘uncool’ things about computer settings is the default state option i.e. the first choice presented before I get to choose my preferred option. Good for us because we always have a starting point. Talking about default states I think we often have a default state of mind. Good for us if that default is ‘trusting the Lord’ but as we discovered a few months ago with some dear sisters at church, worry is often the more common default. In our Prayer and Sharing Ladies group we decided to memorize scripture every week and share revelations throughout the week. I immediately jumped onto it as I was thrown back to my days in high school when we challenged each other to memorize scripture every week and recite it during our weekly Scripture Union cell group meetings. I look back with amazement at the depth in the word that this group achieved in young people. Indeed , the memorizing and reciting of scriptures enabled many, including me to create a storage of scripture in our hearts and sure enough, almost 20 years on, my spirit still exudes Jer 29:11 For I know the plans I have for you…., Rom 8:28 All things work together for good to those who love the Lord..and so on. May God bless the visionary for Scripture Union in Zimbabwe for the remarkable impact on elementary and high schoolers﻿! Back to my present ladies group at church, we agreed to start with Proverbs 3:5 Trust in the Lord and lean not on your own understanding. In all your ways acknowledge Him and He will make your parts straight. Proverbs 3:5 was expanded to include all the verses before and after verse 5 and, what a blessing it has been! Today I will only discuss verses 5 -8. Verse 7 instructs us not to be wise in our own eyes but rather to fear the Lord and shun evil and in turn we get health to our body and refreshment to our bones. Talk about weariness from worry and ‘meditating’ on life’s ever present problems! It is almost as if our minds are set to default worrying state. Picture a typical day, from the time you wake up to the time you retire to bed. For the 16 or more hours that we are awake, there is always a decision to be made, a challenge to be solved and an action to be taken. Often times we find ourselves at that ‘default’ state of mind…worrying. How much easier it would be if we adopted Proverbs 3:5-6 and reset our minds to a new default state of ‘trusting in the Lord’ and ‘not being wise in our own eyes’. The truth is the Lord knows us by name. He sees our struggles and knows our challenges. As promised in Prov 3:6 God will make our paths straightand in Prov 3:8 such a state of mind will bring health to our body and refreshment to our bones. After all , according to Rom 8:28, ALL things work together for good…! Yes, they do, they do those who love the Lord and whose minds are set to ‘trust’ default. In Proverbs 3:5-6 we are encouraged to trust in the Lord with all our heart and not to lean on our own understanding. Rather, we should acknowledge Him in all our ways and He will make our paths straight! Proverbs 3:7 further instructs us, ’Do not be wise in your own eyes, Fear the Lord and depart from evil, it will be health to your flesh and refreshment to your bones.’ There you have it right there! Refreshment on this journey is also available. As I walk up the stairs I sure could use some refreshment to my bones from the 4th floor going up... How much more refreshment we need on our Christian journey! I wish all of you well in your respective journeys. I so wish that as we make daily choices, big or small, we will always acknowledge the Lord. May God continually refresh and strengthen you!